Every now and again, I see something and my brain can’t help connecting it to something far less successful — yet eerily similar — from the sometimes recent past. I started making a list of these things a few days ago and I thought I’d share them with you. Streaming music from the internet is ubiquitous today. Phrases like “Alexa, play classical music” or “Ok Google, play They Might Be Giants” and “Hey Siri, play my new music mix” are part of our everyday lives. Music immediately comes out of our phones, tablets, Bluetooth speakers, televisions, and cars. When I look on the retail shelves at the latest Bluetooth speaker boxes from Sonos, Bose, and that company that puts giant plus and minus signs on its gear, I can’t help but be reminded of the Kerbango Internet Radio. 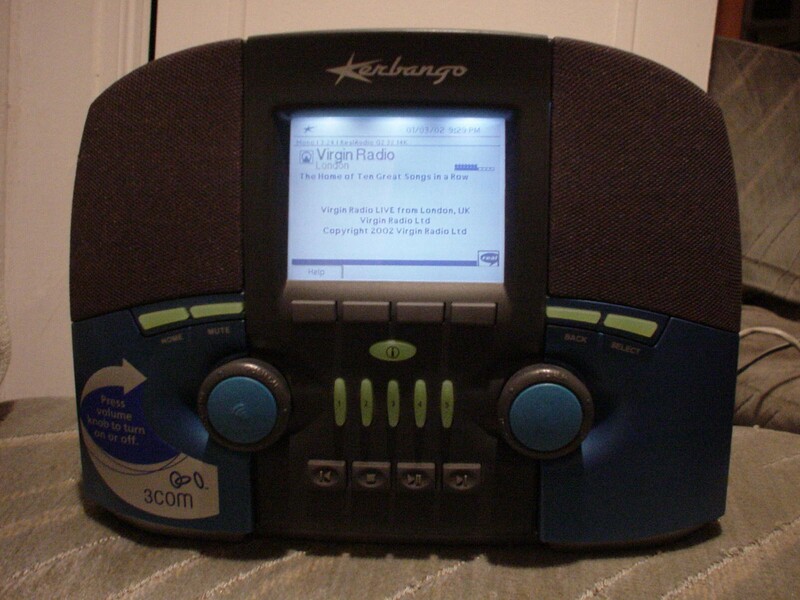 The Kerbabngo was developed when the state of the art in portable audio was the 32 megabyte Diamond Rio. The product was conceived, developed, aquired by 3Com, and ultimately killed off before the introduction of Apple’s iTunes, Rip. Mix. Burn., or the iPod. Yeah, the thing had knobs and a screen, an interface that has migrated to whatever device you are summoning music from, or disappearing altogether behind a voice assistant. It also didn’t have a deep catalog of individual tracks available. Instead it was essentially an embedded computer running Linux (which was no small feat at the time). It streamed internet radio stations in MP3 and RealAudio formats at bitrates that we would scoff at today. The thing that probably killed the Kerbango were its requirements: a broadband internet connection and a wired ethernet connection. Broadband was a thing at the time, but dialup was still good enough for a large chunk of internet connected households. 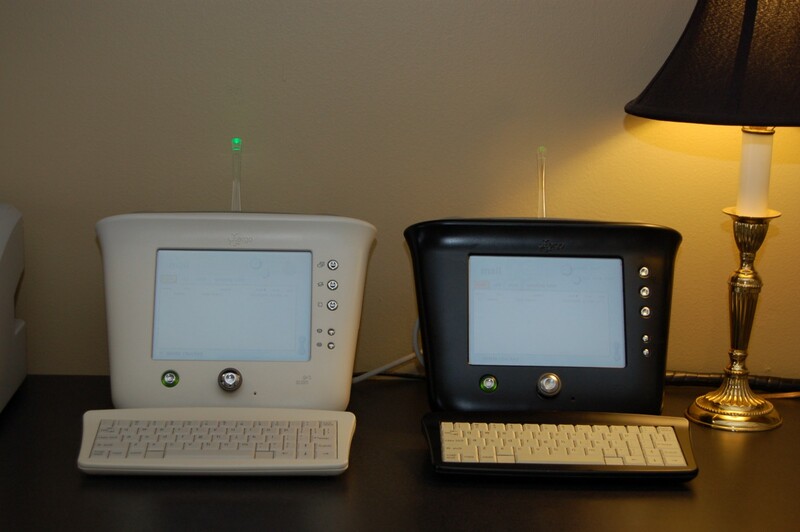 Many if not most broadband connected households also connected their cable or DSL modems directly to a single computer rather than a hub or a switch. Even if you did have a local network, in order for the Kerbango to make any sense, you would have to run wired ethernet from wherever your network connection was to wherever you wanted to use the device. If you wanted to listen to internet radio near your computer, you would probably just pull up Winamp, RealAudio Player, or your software of choice on your computer. Just after the dot-com crash was a pretty bad time to launch any product, let alone a $500 internet appliance designed for the kitchen. The Audrey from 3Com was supposed to be the first in the Ergo brand of internet appliances suited to different rooms througout the house. It was the last. I remember following the announcement and rollout of the Audrey. It ran a version of Unix called QNX that lots of us Linux dorks were rooting for. It had a really playful design language, and really did look like it would (or at least could) do well in the kitchen. I also remember the day that the Audrey was discontinued. I drove over to Circuit City (a big box store selling computers, electronics, music and movies not unlike Best Buy) to see if they were selling any cheap. I’m not sure if someone beat me to it or if there just weren’t any in stock, but by the time I got there only the demo model was available, and it wasn’t for sale. While it’s too early to call them successful, at the time of this writing you can walk in to a store and play with a line of Samsung refrigerators with giant touch screens on the front. So many companies tried to figure out grocery delivery during the dot-com bubble. A few, like Peapod, actually achieved quiet success. Most of them, like Webvan, Streamline.com, Kozmo.com, and a ton of other dot-com’s didn’t. Webvan basically burned through a bunch of cash on warehouses and infrastructure before figuring out a smaller market. They became one of the poster-children of the dot com bust that shortly followed. Kosmo.com also covered some interesting territory at the intersection of Amazon Prime Now and Favor, providing delivery services for music, movies, and stuff you might find at a convenience store. 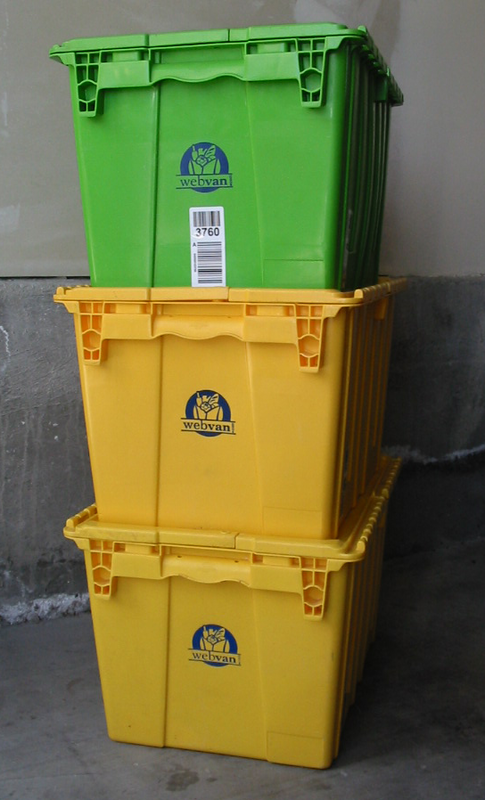 Fast forward to today and most every major grocery chain is executing on their own in-house pickup if not delivery service. Companies and services like Instacart, Amazon Fresh, and Google Express are everywhere too. Adjacent to grocery delivery is “I want some food but I don’t want to go out to get it.” This is a niche currently well-served by Favor, Uber Eats, Amazon Restaurants and others. For a time, Uber Eats had tasty lunches driving around in cars just waiting for you to order. I do miss those venture capital subsidized days of convenience. Most of these services can get you food in a major metro area in about 30 minutes today, which is still pretty solid. It’s pretty easy to trace this convenience right back to a service called Takeout Taxi, a business profiled in this Washington Post article from 1994. Their target demographic was dual-income households and as a student I only think I used them once or twice, but it was handy. One of the biggest barriers to a successful transaction back then was menu distribution. Either you knew what you wanted or you had to call and have someone fax you a menu. They did do a pretty fantastic job at embedding their contact info at the bottom of menus at participating restaurants. They also did an effective job at advertising in strategic locations in the phone book, which was like a primitive version of Yelp minus the reviews. 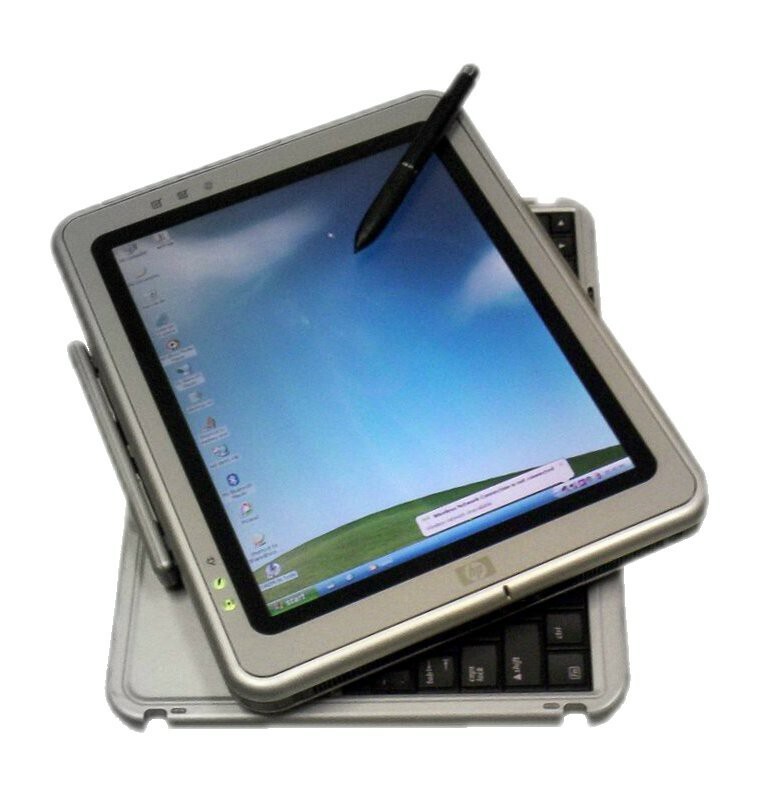 While Microsoft have been successful with their Surface line of tablets recently, it’s easy to forget that they had a much beloved line of tablets with contemporary laptop parts inside almost a decade before the iPad was launched. I remember seeing these at tech conferences at the time, mostly in the convertible notebook/slate form factor, though more exotic configurations such as dual-screen booklets and removable keyboard slates were available. If I had to guess why they didn’t take off and have staying power, I’d have to cite their cost compared to traditional laptops, and the fact that you often had to pay more for slower specs. They found their niche in specialized environments but never became as popular as things that came after them. While the wearable frenzy seems to be dying down a bit, there have definitely been lots of successes — many of them fitness related — over the past few years. Lots of watches can connect to mobile phones via Bluetooth, or local networks via WiFi. A few such as the Apple Watch link up to cellular LTE signals as well. 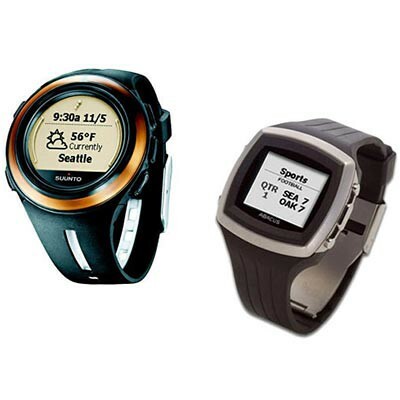 Back in 2004, Microsoft launched a series of internet-connected watches that used FM subcarrier frequencies to deliver one-way information in major metropolitan areas right to your wrist. The local weather, traffic reports, and news could be beamed directly to your wrist. You could even receive email and calendar notifications. There were a few other broadcasty channels of information like stocks and maybe horoscopes? I wore a Fossil Abacus for a year or so, and it was really nice to have that information available. The screen resolution was pretty low though, and there was only so much information that could be displayed on a single screen. If anything it usually prompted me to look up information on a more capable device, which was helpful but not standalone. Its one-way communication also limited its usefulness in the end. Kevin Tofel at GigaOm brings me back with his recollection back in 2013. What are we working on right now that will be a flop today but a huge success later? What will change between now and say 10 years from now that will make today’s failures a good idea again? I’m holding out for not the Juicero. This story is published in The Startup, Medium’s largest entrepreneurship publication followed by 277,994+ people. Makes things. Writes sometimes. Pilot.